IS your SPORTS BRA TO TIGHT? Step # 1 Band Size. Measure your rib cage to find your band size, if it's too loose their won't be enough support and too tight will just make working out a chore. The measurement should be snug, but loose enough to fit two fingers underneath the band. Step #2 Cup Size. 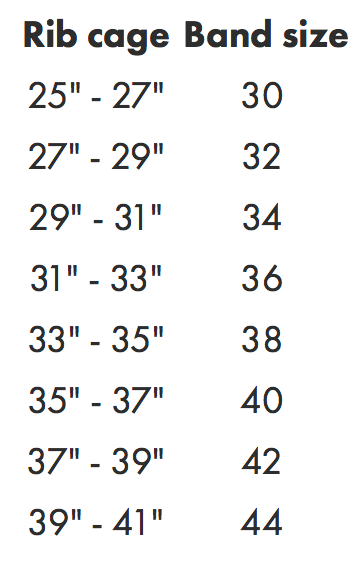 Measure around the fullest part of your bust to find your cup size, this should be loose enough for you to breathe but still relatively compressed. 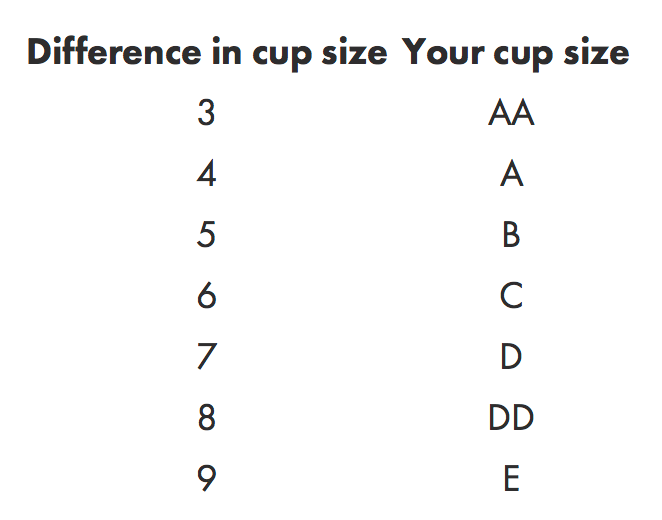 Finally, subtract the rib cage measurement from your bust size and use this number (difference in cup size) to determine your cup size. It is extremely important that you feel comfortable so if your in between sizes try both! Don't settle until you have the perfect fit. Step #3 Test it out. Keep the labels on if you aren't too sure and wear it to a work-out class. If it's still too tight try different sizes, go up or down a cup size and remember to carefully take the band measurement. The most important thing is that you feel comfortable, when in trying it on jump around and test it out to get the ultimate feeling.